Like all Back of the Ferry correspondents (all in hibernation), this correspondent loves his sports. We’ve lambasted and lamented the appalling way fans are treated in Australia when it comes to food and drink at live events. 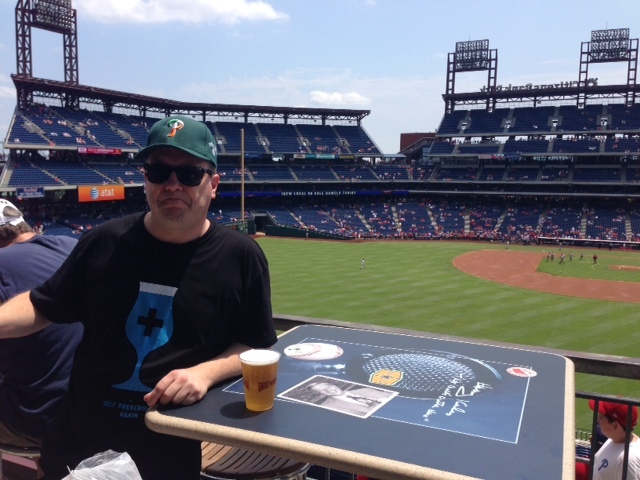 Having experienced an afternoon of food and beer heaven at the Philadelphia Phillies’ Citizen Bank Park it confirms how large the gulf is between the reality of the Australian treatment vs what is possible. Firstly, the ball park is incredible. Built in 2008, there isn’t a bad seat. Whilst I was happy with our booked seats behind home plate, we were exposed to the sun and were being slowly baked. 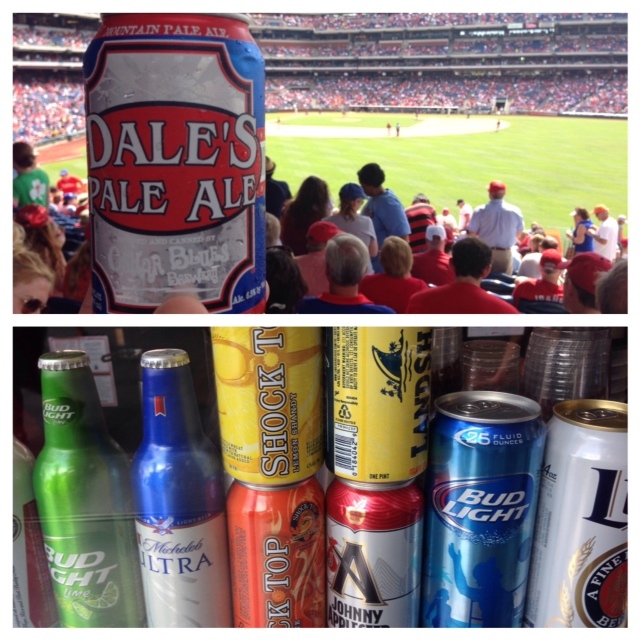 After two innings, we opted to walk around the ground and take in various vantage points and graze and drink. My tip is buy the $17 standing room only ticket and take the opportunity to stand at various parts. 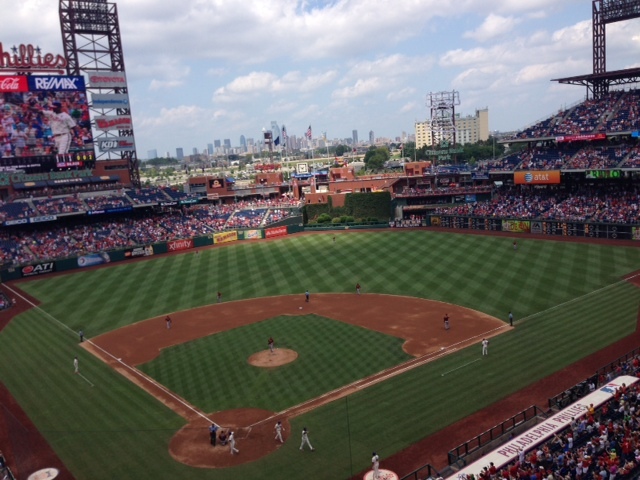 We got great views of the game defining error late in the game where the Phillies scored from a dropped outfield catch. We watched the maligned closer (Papelbon) labour through the ninth side on from first base and saw the game ending double play. 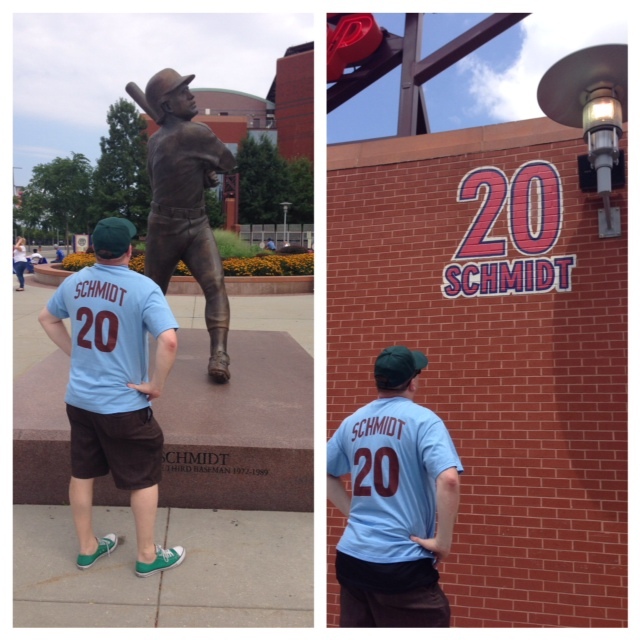 Probably our favourite place was at Harry the K’s bar, which provides a high platform above left field. Great views and a couple of great beers from Goose Island and Flying Fish. Look and learn Australian grounds.